The Trump administration announced on September 5, that the Deferred Action for Childhood Arrivals (DACA) program will be terminated in March 2018, throwing the futures of nearly 800,000 immigrants into uncertainty. In its five years as policy, DACA allowed DACAmented immigrants to live free from the threat of deportation, step up as leaders and members of their communities, and pursue the American Dream. How are DACAmented immigrants, as well as their supporters and allies, responding to this policy setback? What legislative options and trade-offs are being contemplated? What immediate and long-term needs and strategies should philanthropy prioritize? Join us for this timely briefing. Registration for this program is now closed. DACA's Termination: What Funders Need to Know in the Immediate Term, GCIR, September 2017. What Do I Need to Know if the DACA Program Ends?, Immigrant Legal Resource Center, August 28, 2017. DACA Recipients' Economic and Educational Gains Continue to Grow, Center for American Progress, August 28, 2017. DACA Update: Five Things You Should Know, National Immigration Law Center, August 25, 2017. Potential Scenarios: Legal Threats to DACA, National Immigration Law Center, July 31, 2017. Beyond Deferred Action: Long-Term Immigration Remedies Every Undocumented Young Person Should Know About, Educators for Fair Consideration, November 2016. 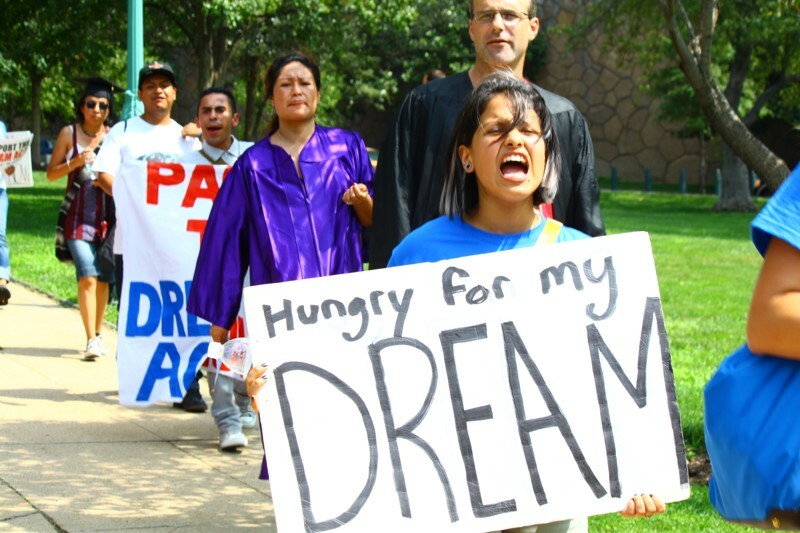 Stories in Defense of Deferred Action for Childhood Arrivals, National Immigration Law Center. If your grantmaker network is interested in becoming a co-sponsor, please contact Melissa Nop. Held on the third Thursday of each month, GCIR's monthly immigration policy calls provide both updates on timely policy issues affecting immigrants and refugees and in-depth analysis of topics that are particularly relevant or pressing for philanthropy. At critical junctures, written updates and resource materials are shared with participants in order to deepen funders’ understanding of key developments and their implications for philanthropy. Please contact us with your suggestions on topics, speakers, and resources to share.